The process has many names but no matter what you call it, it is the only method that offers you a 100% guarantee of gender. Elective IVF for family balancing purposes is available in the United States and selectively around the world. It is illegal in Australia, Canada and Europe but people do travel from all over the world to undergo elective IVF so they may choose the gender of their next child and we are happy to guide you through that process. Elective IVF does guarantee gender and you may also choose to have all chromosomes evaluated to ensure you transfer a healthy embryo. It does NOT, however, allow one to make a ‘designer baby’ like has been publicized in the media previously. That is not desired by gender selection patients. Most just want a healthy baby of their desired gender to balance out their family. 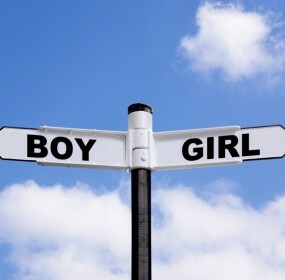 Another misnomer regarding gender selection patients is that everyone wants a boy. It’s actually, the opposite. On this site, within our forums, 85-90% of the people in our discussion forums are hoping to balance their family by adding a girl. At Gender Dreaming, we are here to provide information and allow you, the consumer to decide what is best for your family. Make no mistake about it, Elective IVF is an expensive and exhausting process and at times the stress is tremendous. You can have the guarantee of gender but you are not guaranteed to come out of it with a baby. Most clinics will quote a 60% chance of pregnancy for a healthy, fertile woman who undergoes elective IVF for gender selection purposes. It is far from a guaranteed baby but when it does work, it is wonderful blessing. Please visit our Gender Selection Discussion Forums for more information.